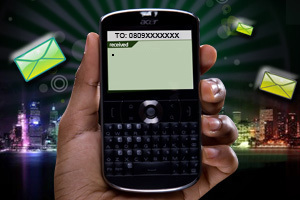 The Etisalat DotMe service is an sms based messaging board service which allows Etisalat customers to share information with contacts any where, anytime. The Etisalat DotMe service is like sending information to a message base and the message will be published and made available to many people as possible via sms PROVIDED they have your number. The Possibilities are endless and i know the next question on your mind right now is, How do i get started? Mind you anybody on any network (anywhere in the world) can follow your dot and get your status via sms. Etisalat subscribers will be charged #1 to follow a dotter while normal sms rate applies for other networks all over the world. As for me, i think the Etisalat Dot Me service is a very easy way to share information with people that matters to you but that's just my own opinion, you can write your opinion in the comment box below this post. Sharing is fun! Great info... I am just hearing of dotme from etisalat though but i'll try it out now.